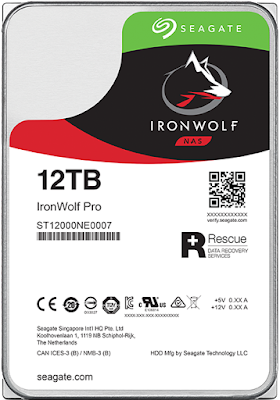 The 12TB Seagate IronWolf Pro SATA3 NAS HDD (model # ST12000NE0007) recorded on Amazon priced at $388.99 & FREE shipping in the US. Lowest ever! That's $32.41 per TB. Excellent price for an enterprise-class HDD.